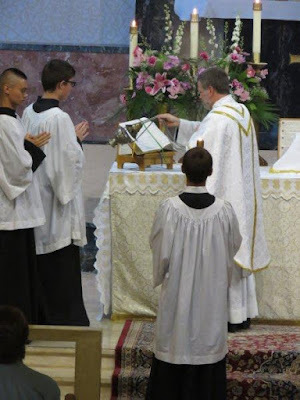 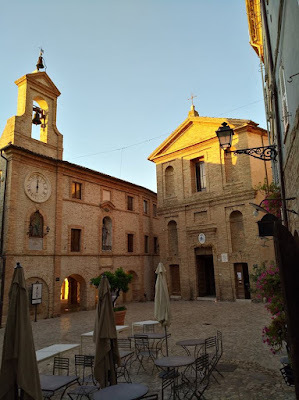 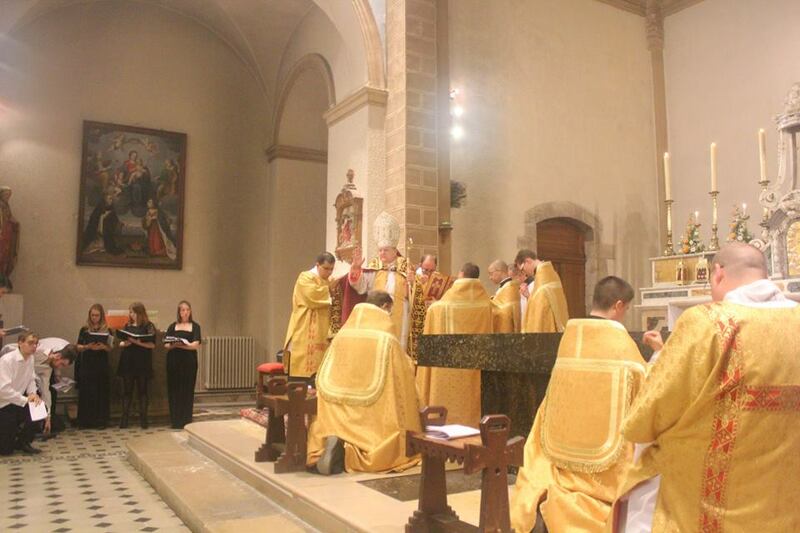 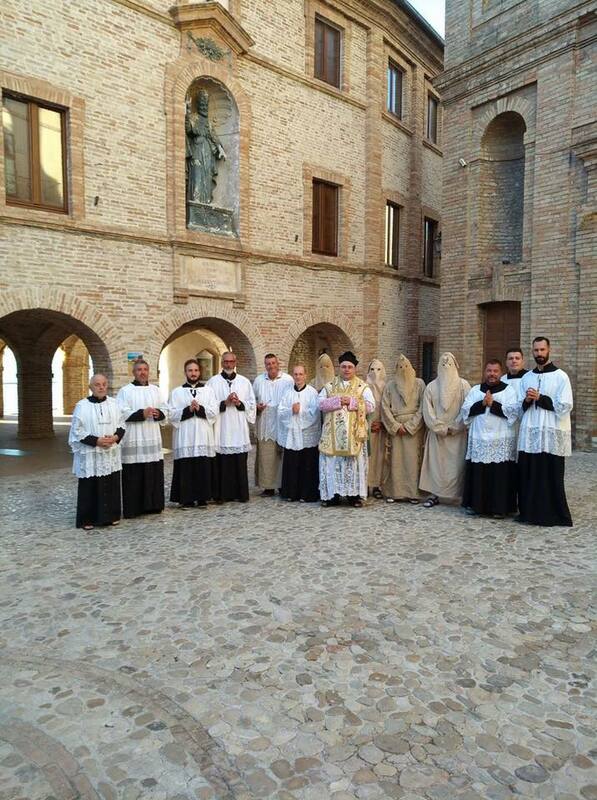 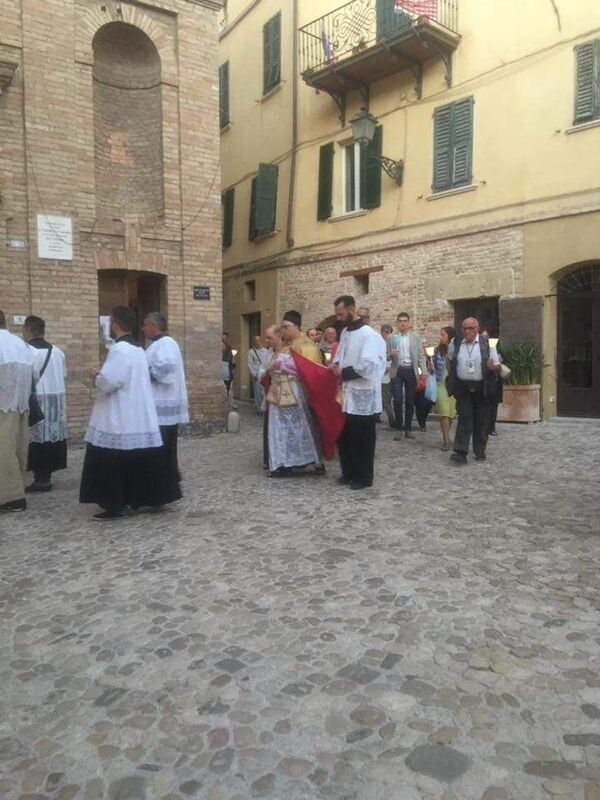 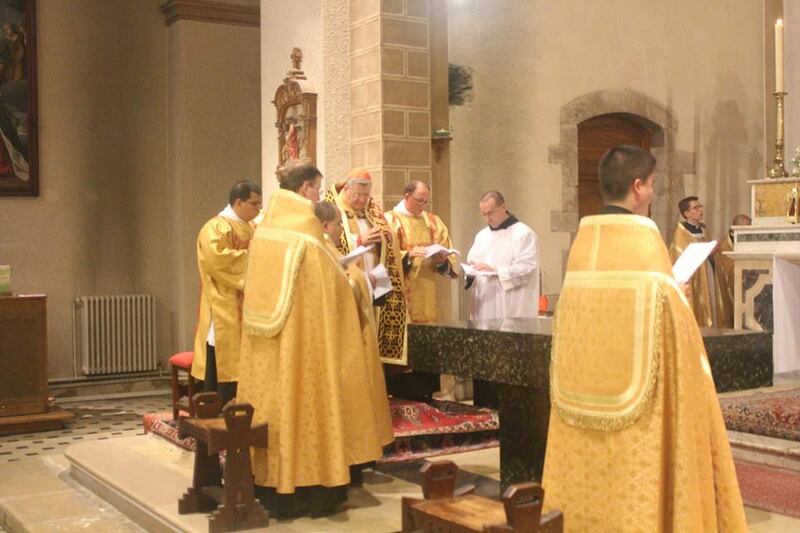 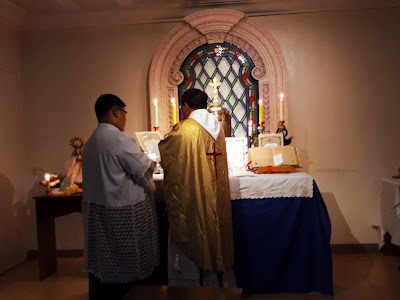 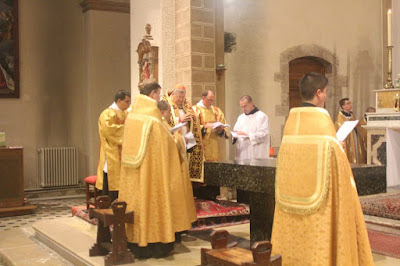 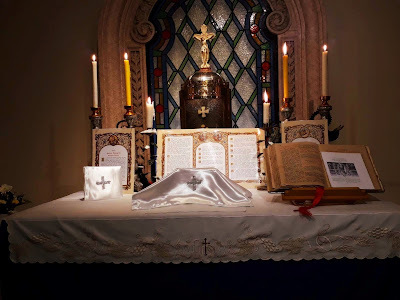 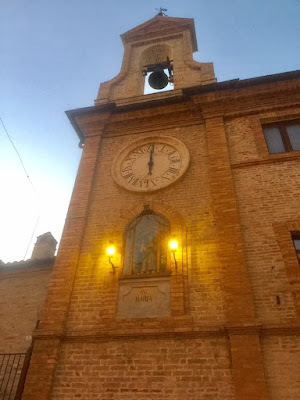 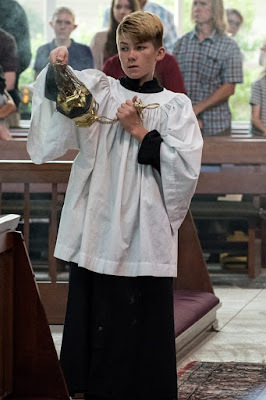 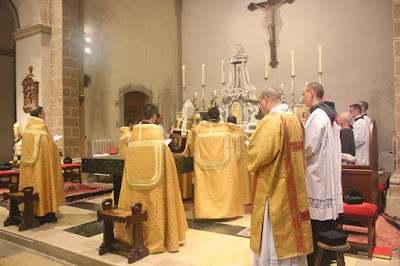 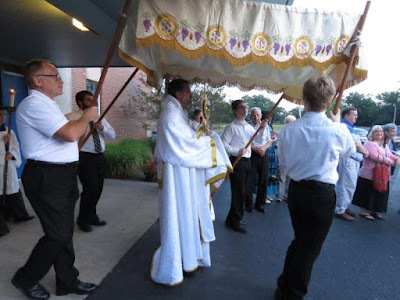 My favorite photoposts are the ones which show not only the beauty, but also the great variety and richness of the Catholic liturgical tradition, and the submissions which we received for the Assumption this year are a great example of this. 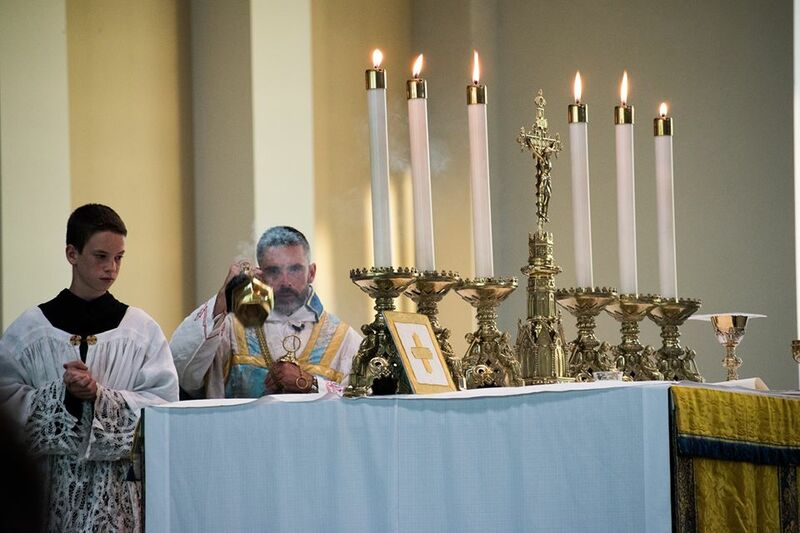 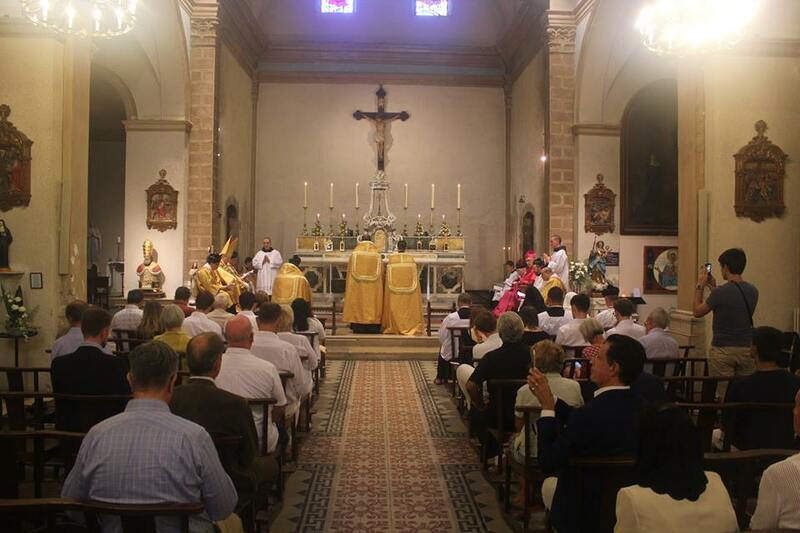 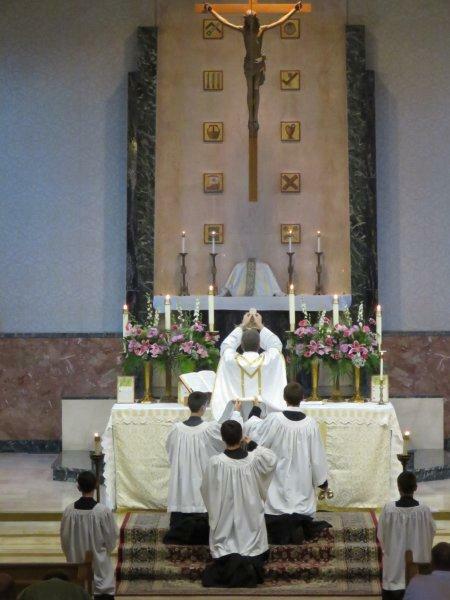 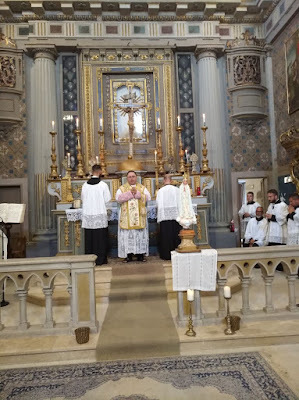 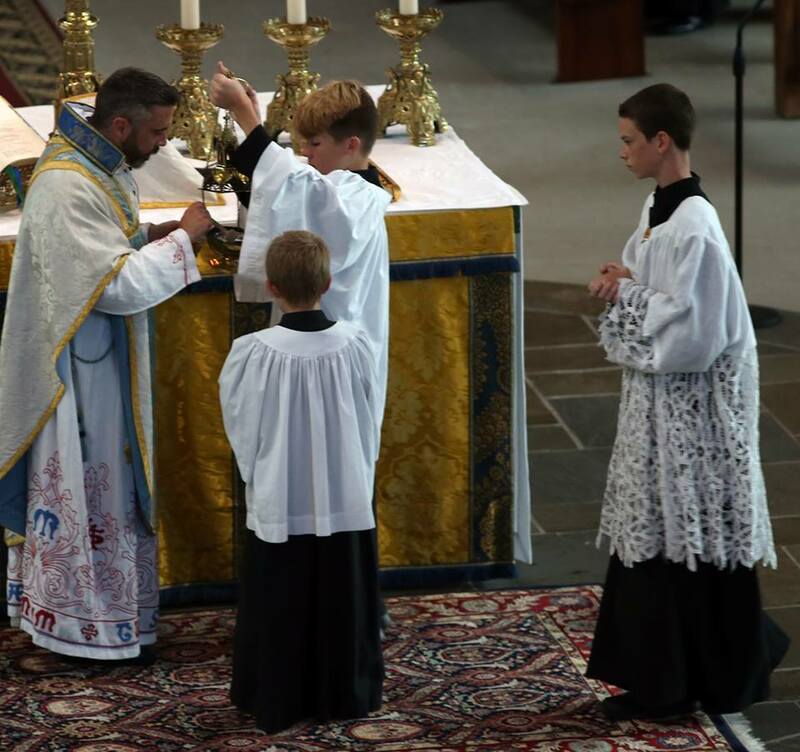 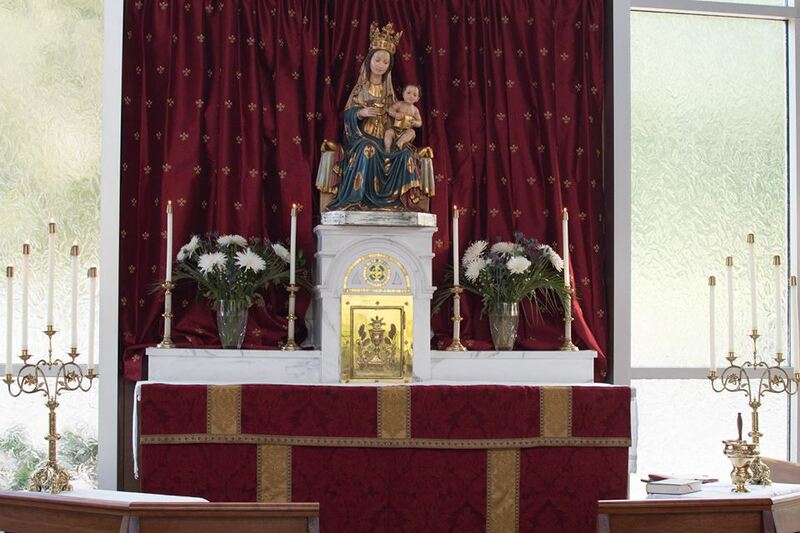 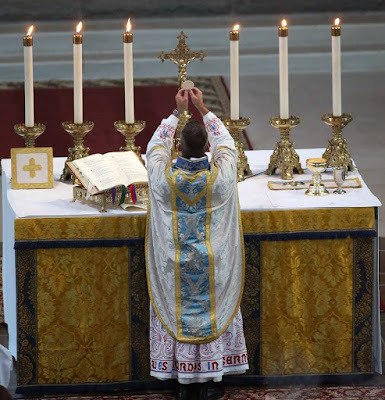 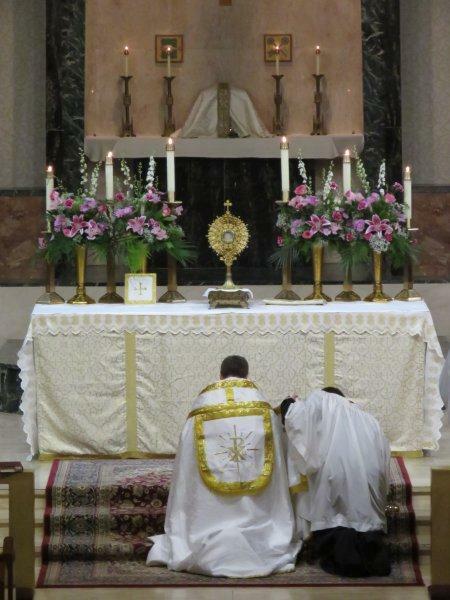 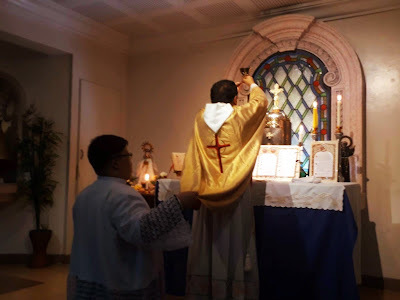 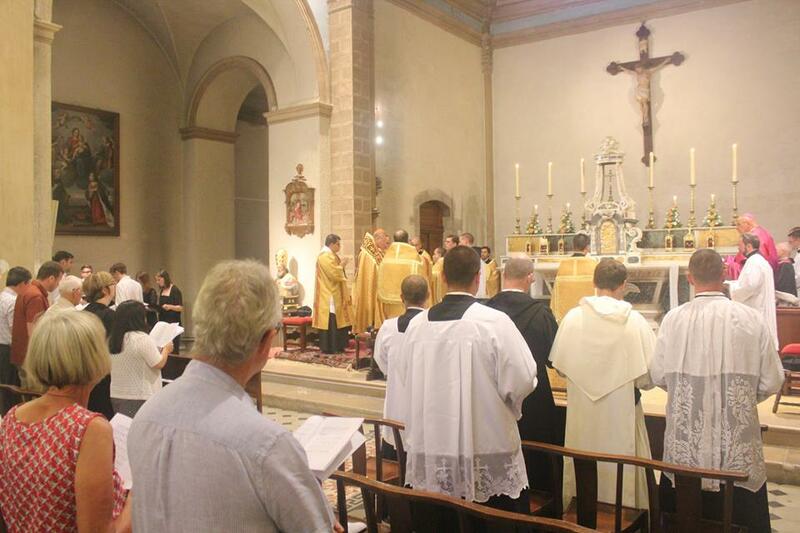 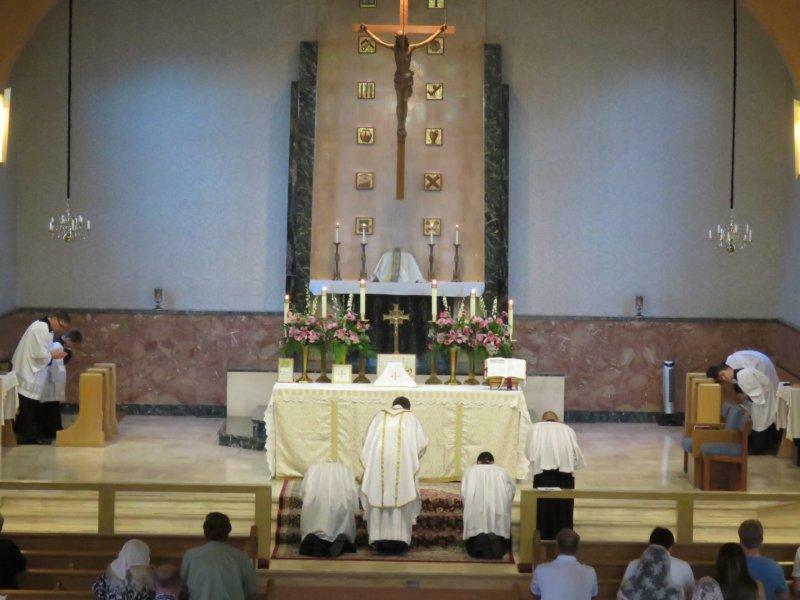 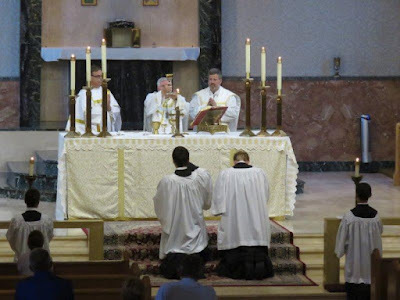 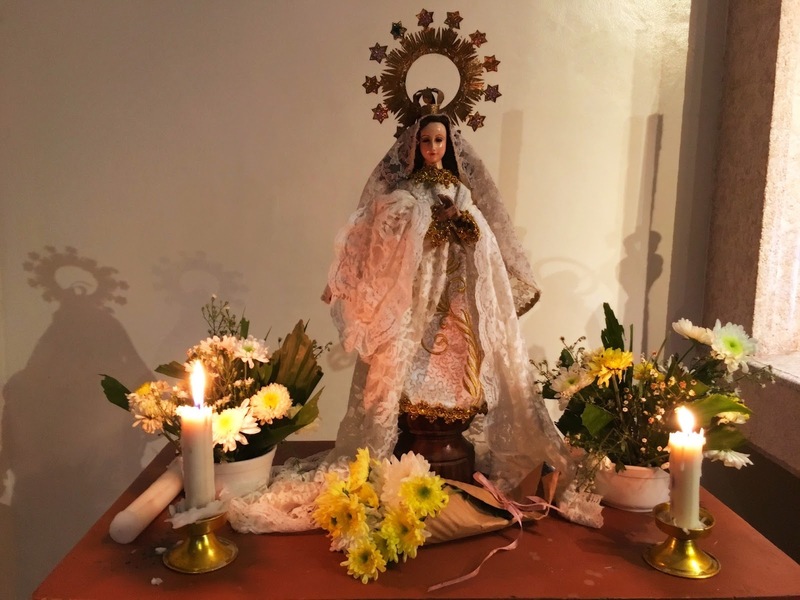 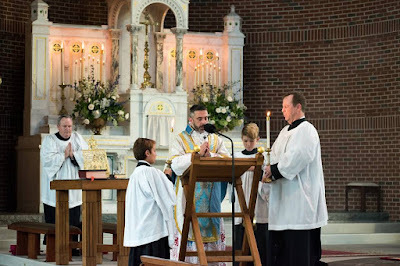 We have Masses of the feast in the EF and OF, as well as the OF vigil Mass, the blessing of a statue of the Virgin Mary, Benediction, and Pontifical Vespers. The photos have come in from all over the world, and we have enough to make two posts out of them; the second will appear tomorrow, with a few other things. 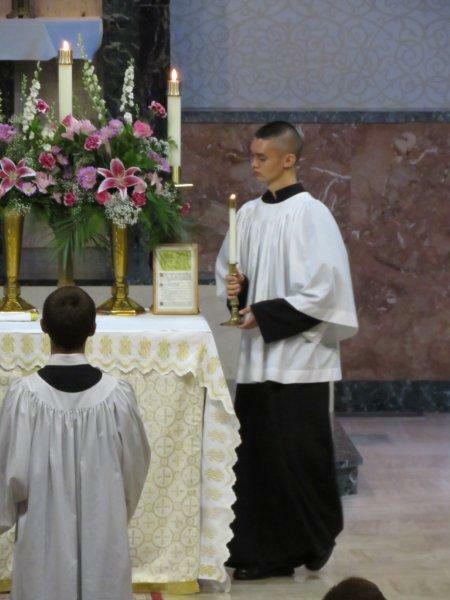 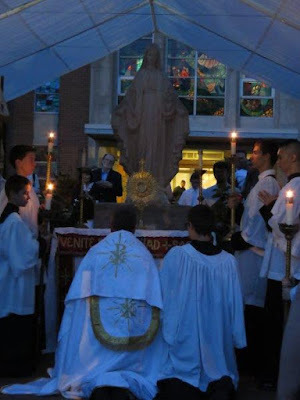 Our thanks and best wishes to all those who sent them in - Evangelize through Beauty! 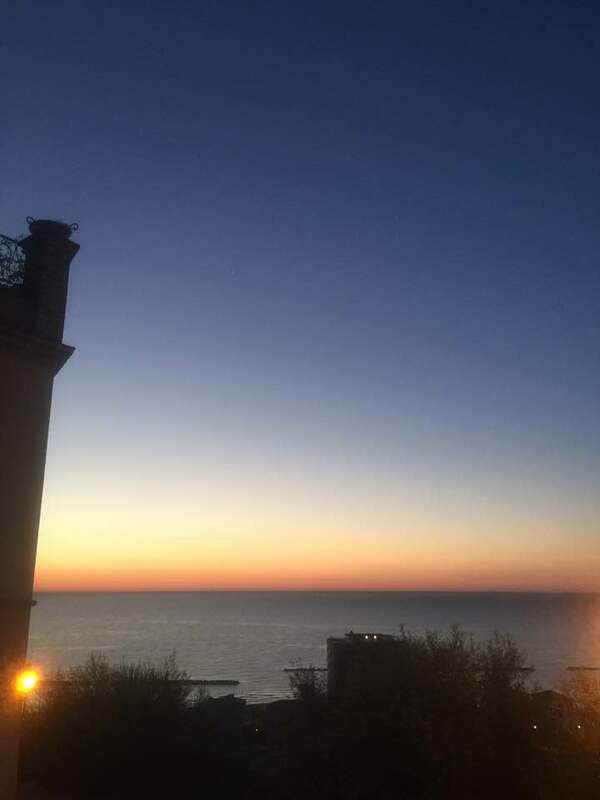 The Adriatic Sea at dawn. The historical center of Grottammare is on a rather high hill; on clear days, you can see the Dalmatian coast on the other side. 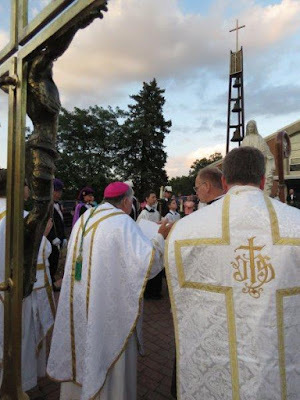 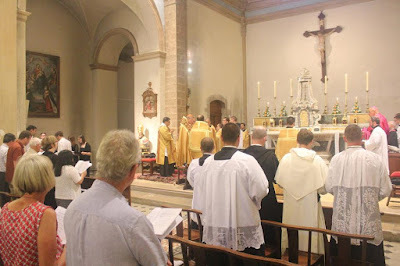 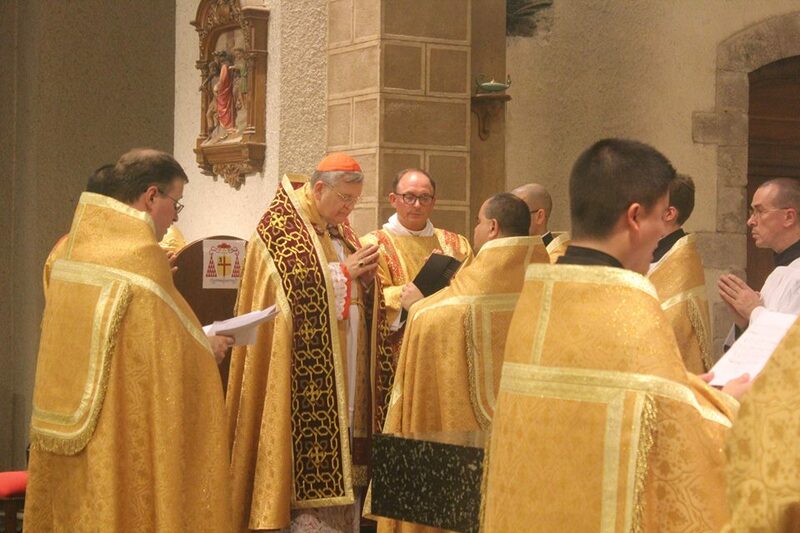 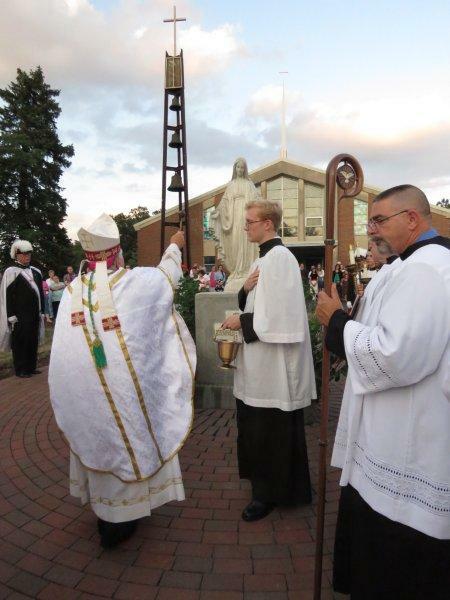 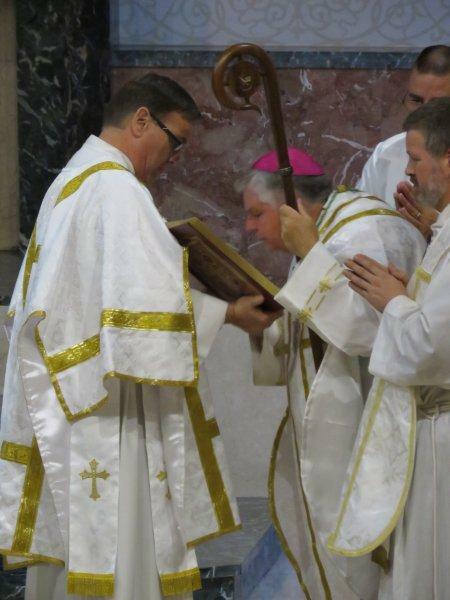 Vigil Mass of the Assumption, celebrated by His Excellency Paul Bradley, Bishop of Kalamazoo, who afterwards blessed a new statue of the Virgin Mary.